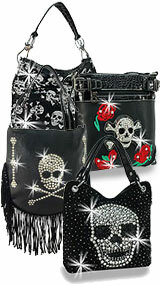 A rhinestone skull and cross bone medallion is the centerpiece on this stylish fashion bag. 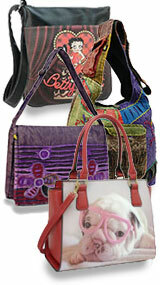 The simulated leather construction has a unique embossed background. 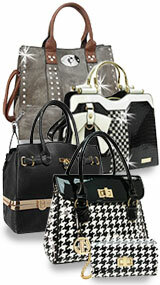 It also features round and square shaped studs. 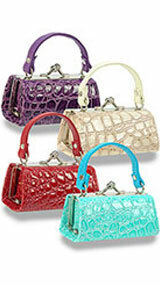 Chain accented shoulder straps with 10in drop length complete the look. 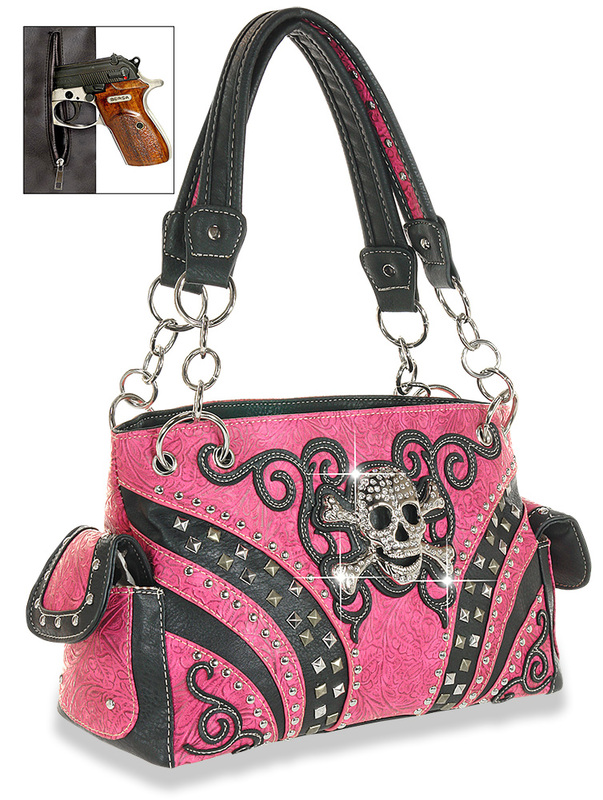 This handbag also features a special zippered pocket on the back to secure your concealable handgun.